The new local DAB digital radio 'mini-multiplex' serving Portsmouth has now launched. Five stations are now available, with a further service launching in September. 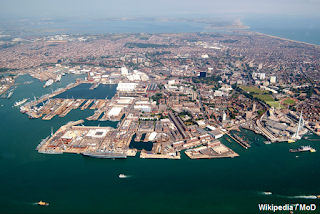 Portsmouth was chosen by broadcast regulator Ofcom has one of ten locations to trial small scale DAB broadcasting to towns and cities, and is the only second location to go live with broadcasts. JAMM Radio starting September – The student station of Highbury College, JAMM Radio plays chart hits and guilty pleasures with programmes made for students by students. To find these new services, listeners will first need to perform a one-off ‘autotune’ on their DAB digital radio. Once an autotune has been performed, the new stations can then be found by searching for the name of the station in the station list. Some radios that were manufactured before the year 2007 may require a Full autotune or Rest of World scan to find the services. On many radios this is done by simply holding down the autotune button for five or six seconds. Please refer to the radio instruction manual if this does not work. A website about the project has been established at www.solentwireless.com and an Information Channel will also provide periodic updates for listeners. It will be possible to receive the new DAB signal for the six new services within the City of Portsmouth and parts of Portchester, Havant, Hayling Island and Gosport. Transmission services are being provided by Hampshire based Commtronix, who have installed the transmitter at Highbury College’s iconic Tower building in Portsmouth.